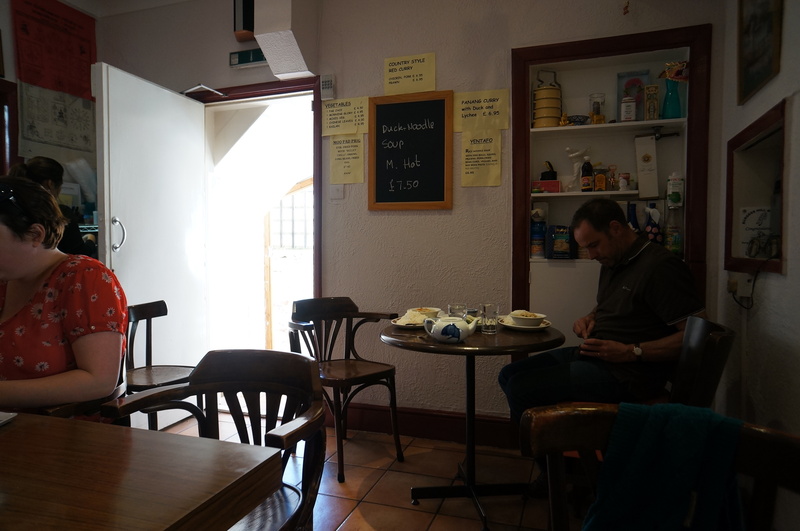 I thought that while I’m not travelling anywhere new, I should write about my current town of residence, Brighton. This is a local food blog after all! Now I wouldn’t say Brighton has the authentic to the area dishes that I would usually write about. I mean, there are plenty of cheap and local eats in Brighton, but they’re usually from a diverse range of countries all around the world. Sure, there are definite themes that are popular in Brighton, fish and chips, burgers, vegetarian/vegan foods, Mexican and Thai; but if you are visiting, there are so many to choose from, how do you know which one? So, please find below my ever growing list of my favourite places to eat in Brighton for £10 or less. 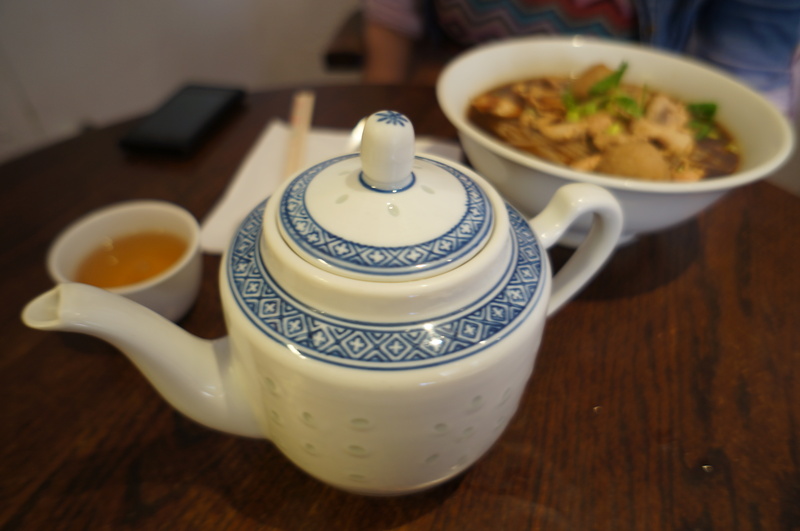 Here is my first ever written review, for one of my favourite Thai places I have eaten at in Brighton, Unithai. I had heard from many people that Unithai was amazing. No frills, real Thai food, that didn’t break the bank. I arranged to meet a friend to help me with my ‘research’, and because she hadn’t been there before either, she was more than happy to come along. From the front, it looks like an Asian supermarket, because it is, and a good one it is too. On closer inspection, there is a menu on the front window, and if you peer inside, you can see a small seating area at the back. As soon as you walk in, fragrant Thai smells fill your nostrils, and the young Thai waitress kindly greets us with a menu and a seat. 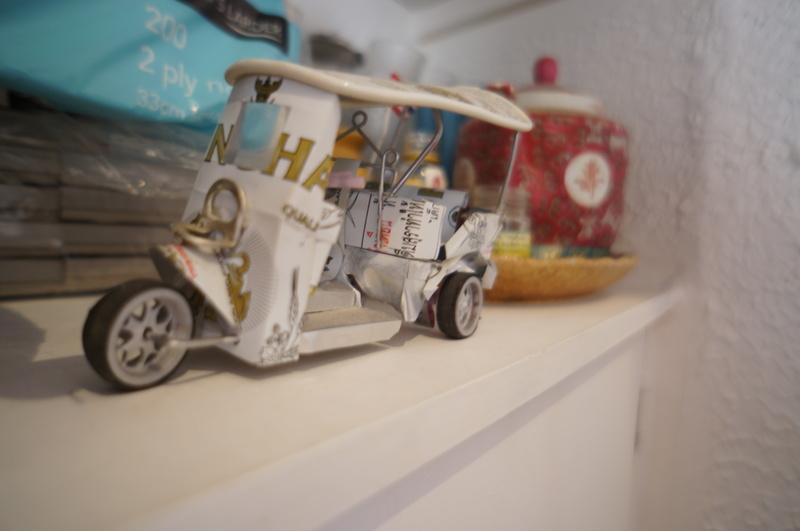 The decor is very sweet, with good luck kitties and tuk tuks made out of Singha cans placed decoratively on the surrounding shelves. The music playing reminded me of most places I ate in South East Asia, slow ballad love songs, that usually come with a cheesy music video. 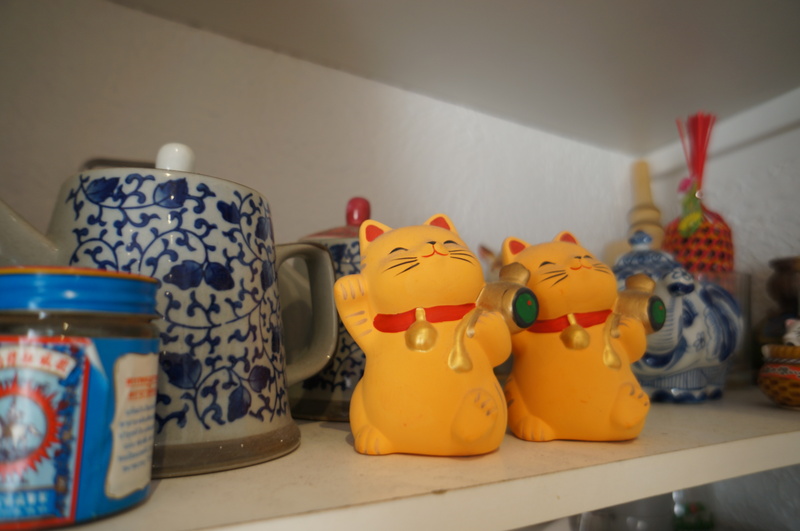 On the table we had a multi jar condiment holder with seasoning and pickles – just like they have in Asia. The menu has the basics – with your traditional Thai green, red and yellow curries, stir fried noodles, salads etc. They also had some specials typed on A4 paper stuck on the walls, with sides of veg to choose from too. 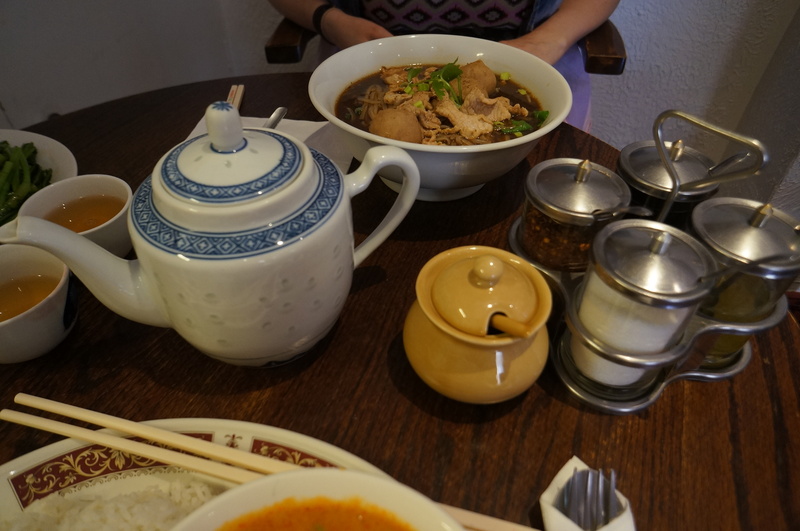 I ordered a Jasmine tea and a Guay Teow soup, with thin rice noodles, pork balls & marinated pork. My friend ordered the red curry, and we decided to share a side of morning glory (water spinach – a common vegetable used throughout South East Asia) with fermented soya beans and chilli. The food smelt incredible as it was being cooked, rich smells of fragrant Thai spices were wafting from the kitchen. My friend and I both took turns to get cash out (as it is cash only), as we couldn’t bear to wait in there hungry, with all the wonderful smells. 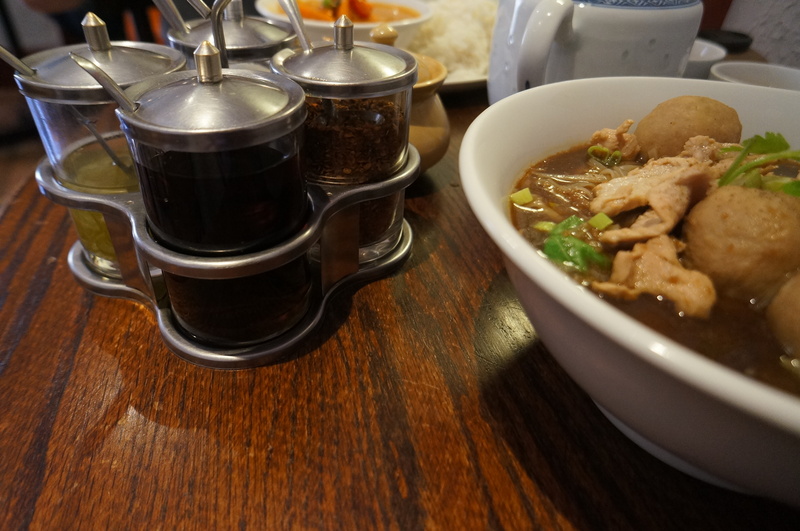 When the food eventually arrived, it looked great, the red curry had a thick, red gravy, and my broth was a rich brown colour with generous amounts of pork! The vegetables were a generous portion, and they hadn’t been shy with the chilli! 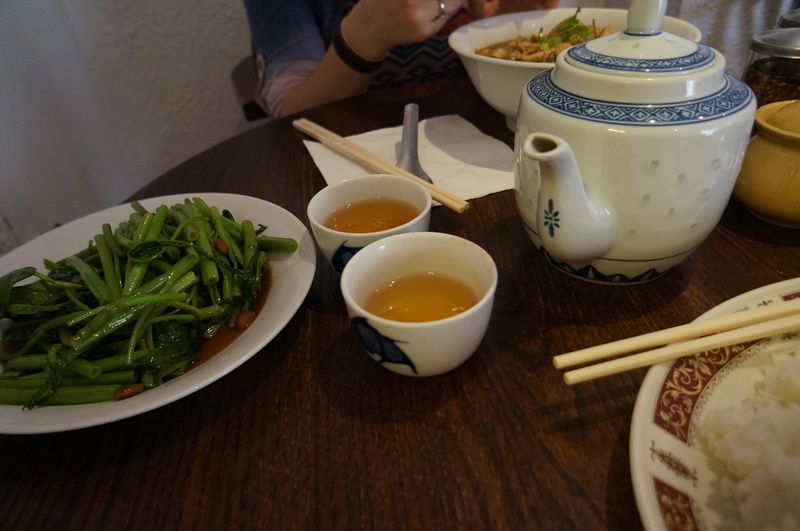 The morning glory was cooked to perfection, and the fermented soya beans really made the dish. We slurped away, with graphic sound effects that could only mean satisfaction and appreciation. 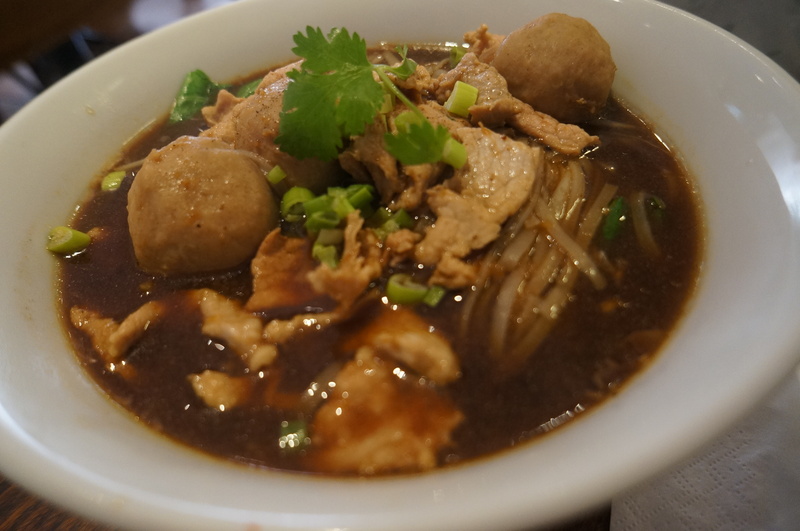 The Guay Teow was a nice balance of salty and sour, with plenty of thin fresh vermicelli to munch on. The pork was delicious, with meaty, well seasoned pork balls, that you needed more than a couple of bites to get through. 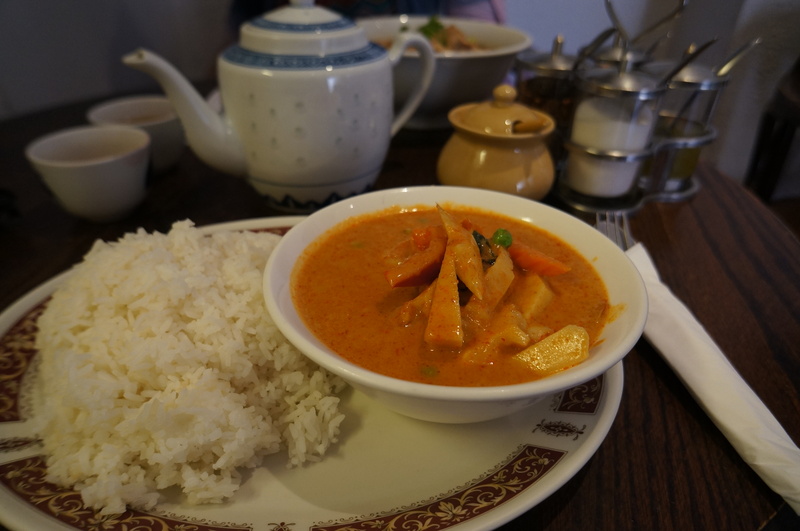 My friends’ red curry was very rich, with a lovely sweetness. The paste surely tasted homemade, and also tasted as though they had used the coconut cream, instead of the coconut milk. Scrummy. After our meal, (of only just over £10 each), we paid, and had a look around the shop. I bought some Thai brand canned fish, as I wanted to try it, and we chatted to the very friendly lady/owner at the counter. I would highly recommend Unithai to anyone wanting to try an authentic, Thai food experience, in a casual atmosphere, with fuss free, friendly staff. 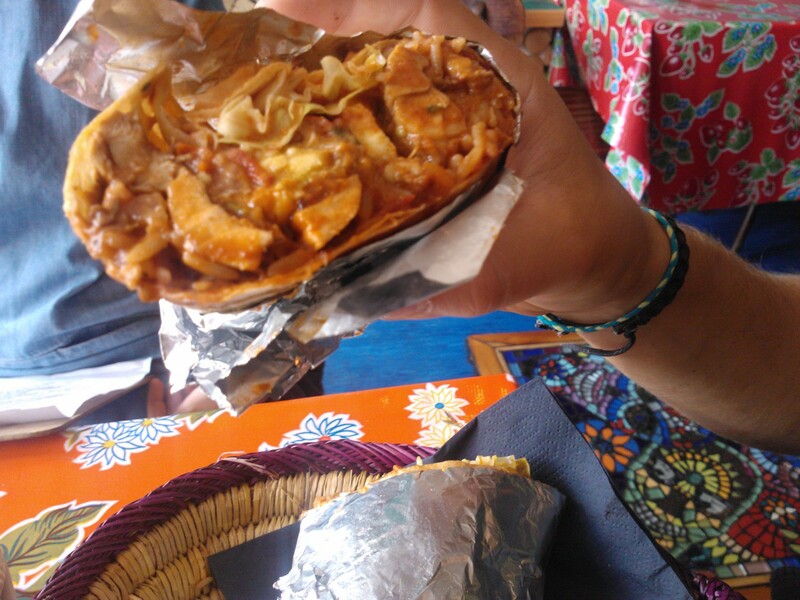 Carlito Burritos began in as Spring of 2010 as a small burrito cart nestled behind the old Blind Tiger Club near Brighton’s Old Steine. Since early 2014, Carlito Burritos have moved into a more permanent location on York Place, at the seafront end of the up and coming London Road. 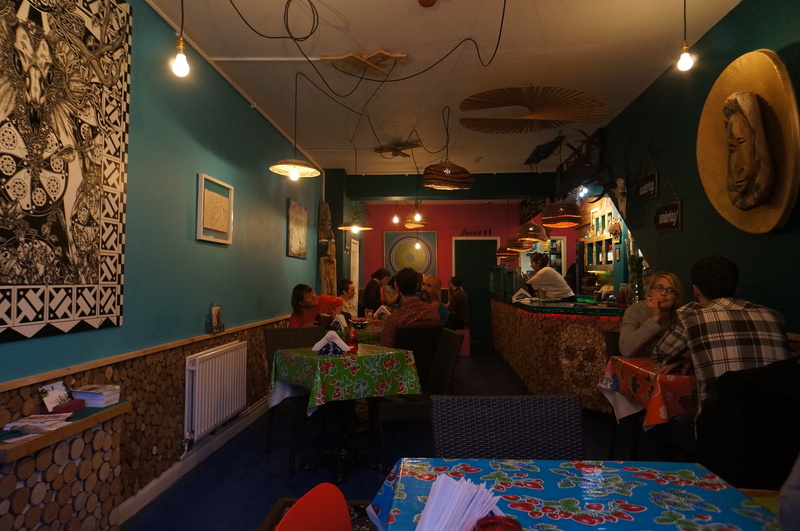 I first visited Carlito Burritos on a Friday evening, where the tunes were banging and the vibe was amazing. 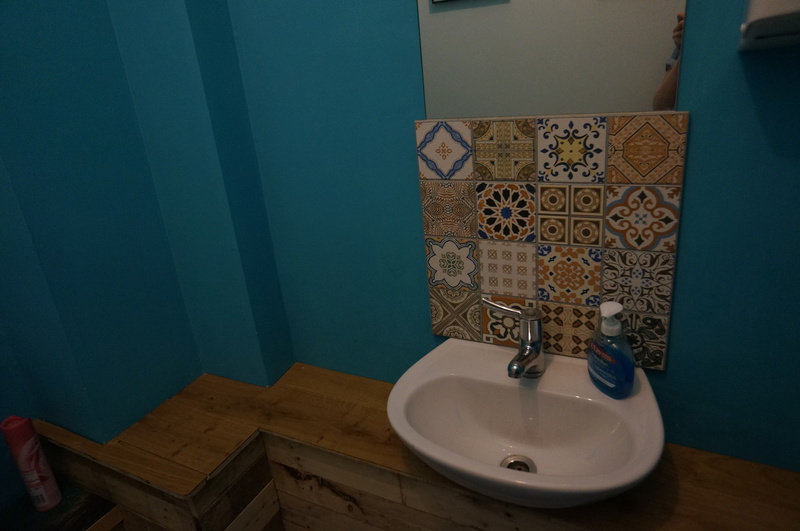 I fell in love with the place instantly, and claimed it was my new favourite restaurant I had been to in Brighton. 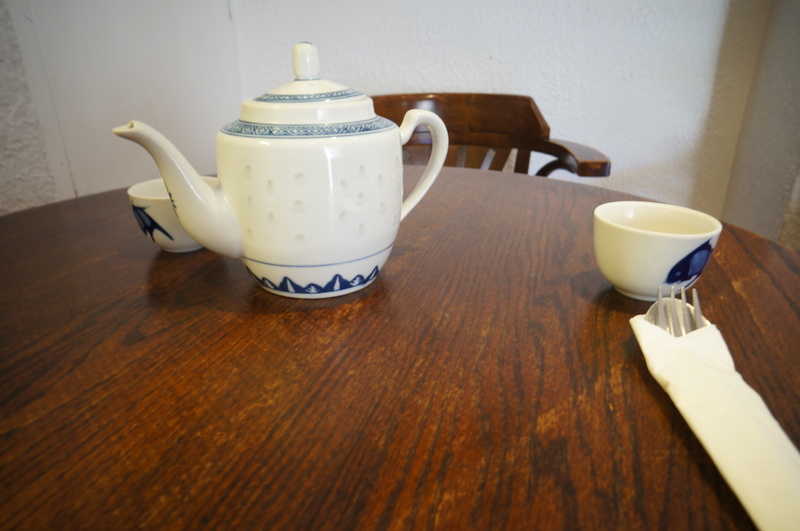 I have since been a couple of times, once in the evening during the week, and most recently on Saturday for a late afternoon lunch. For dinner you can end up spending around £25pp including drinks, as they have amazing margaritas – the Tamarind one in particular. 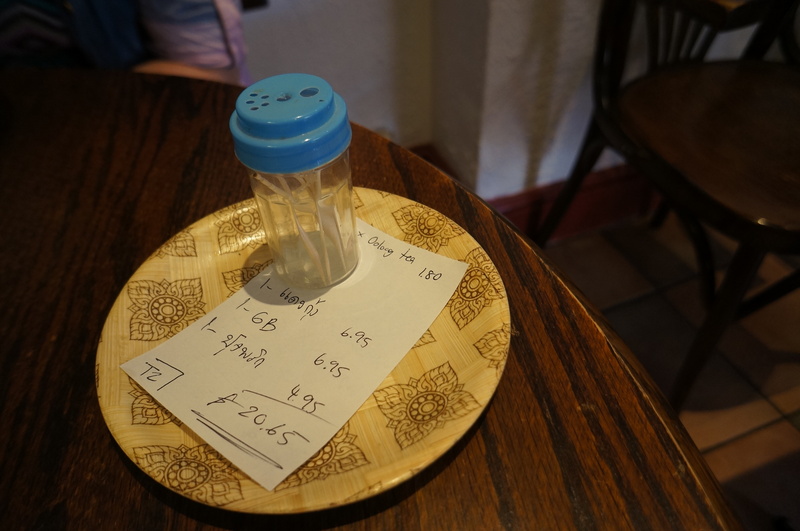 For lunch I managed to spend under £10, so I was pretty excited to be able to include in my Favourite places to eat in Brighton for £10 or less. During the week the lunch menu is more limited, with a few of their tapas dishes to choose from – most of which are gluten free, and a selection of tasty burrito fillings for those who are able to eat wheat. 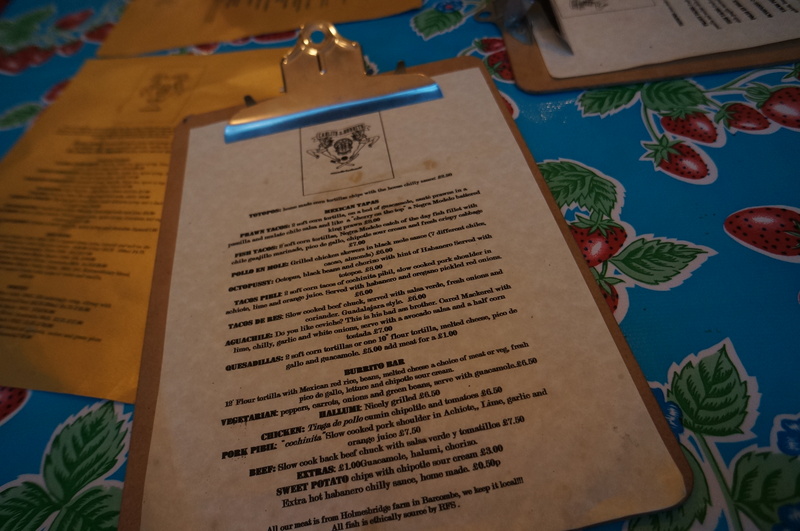 On the Saturday that we visited, the full menu was available; during the week this is only from 6pm. I was here with my boyfriend, and we were super hungry! 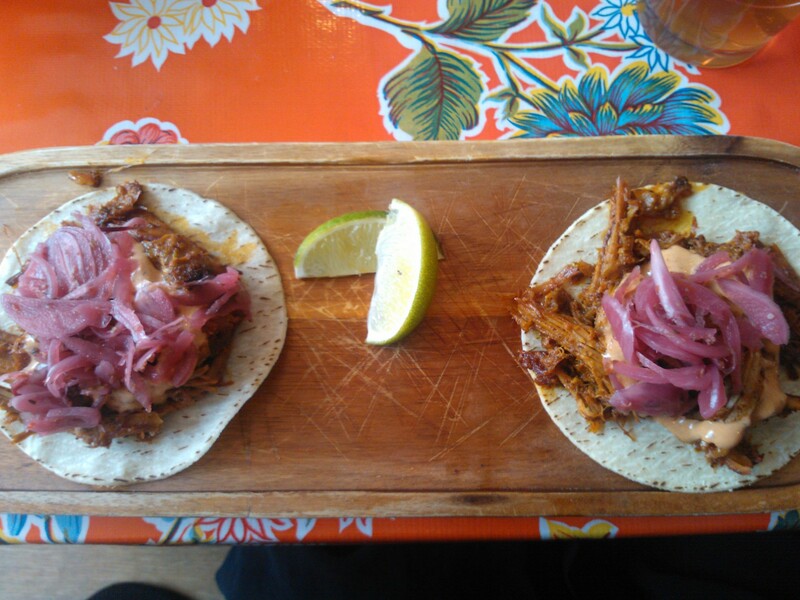 I decided to get one of the tapas – Tacos Pibil made with soft corn tacos, slow cooked pork shoulder cooked in achiote, lime and orange juice topped with my favourite pink pickled onions. My boyfriend ordered the Tinga de Pollo (chicken burrito) with cumin, chipotle and tomatoes, with additional halloumi and guacamole! 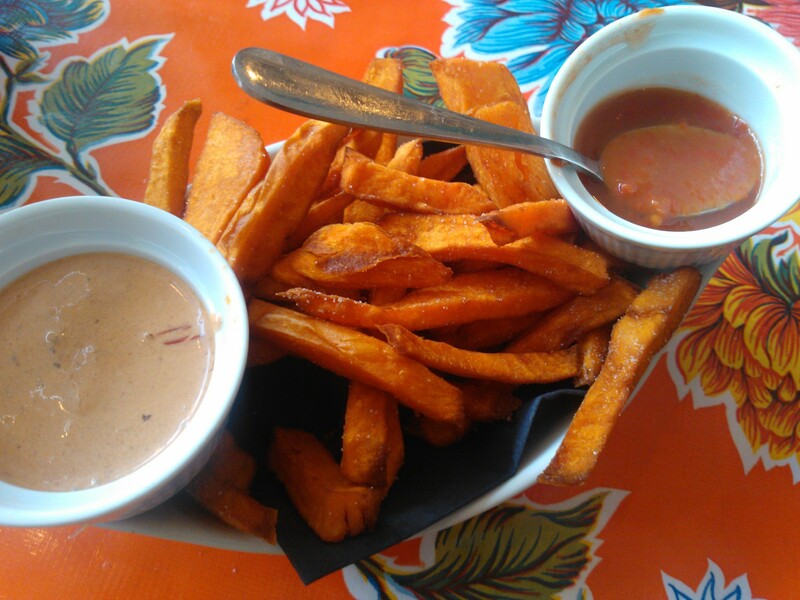 As I already mentioned, we were rather ravenous and we ordered a basket of sweet potato fries with chipotle sour cream to share too. 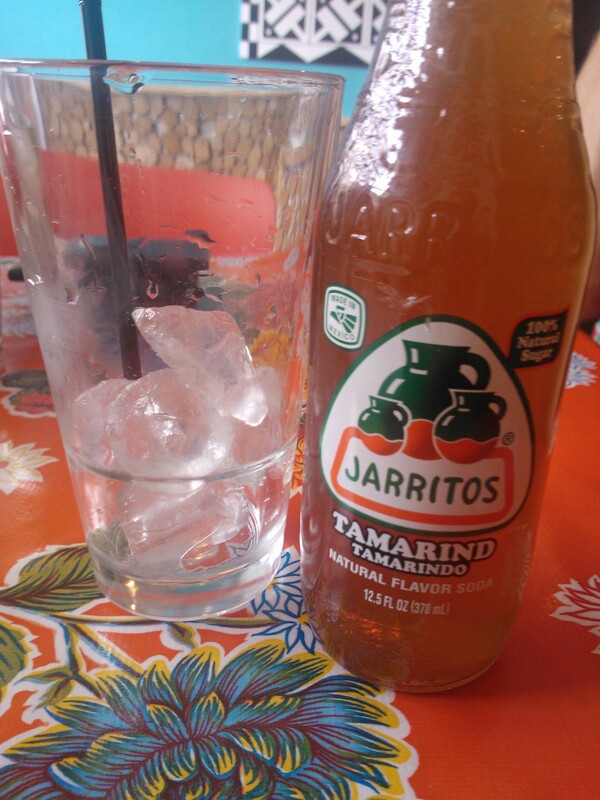 As much as I really wanted a margarita, I decided I had too much to do that afternoon, and it would also bring my bill to over £10, so I went for a Tamarind Jarritos instead. The Jarritos was lovely and refreshing, with a subtle taste of tamarind, so not too sour for those who don’t like sour things. It is made from 100% raw cane sugar juice, so is sweet, but not in a horrible artificial way. Considering the amount of people already in the restaurant, we didn’t have to wait that long for our food at all. My pork tacos came in a pair served on a long wooden board, with fresh wedges of lime in between. They didn’t hold back on the pork, the fillings were generous, and there were plenty of pickled pink onions on top which I was rather pleased about. The corn tacos supported the juicy filling well, the pork was tender and there were many exciting flavours skipping around in my mouth all at once. They had a good kick of chilli in them, and the Jarritos was good for counteracting this. My boyfriend thoroughly enjoyed his burrito, the fillings were also generous, and the flavours going on in the chicken really were something else. The only complaint he had was that it ended up very messy, as they come cut in two, so he would prefer if it could be kept whole. Maybe it is something he can remember to ask for next time! The sweet potato chips were sweet, crispy, and very well seasoned, and the chipotle sour cream paired with them perfectly. 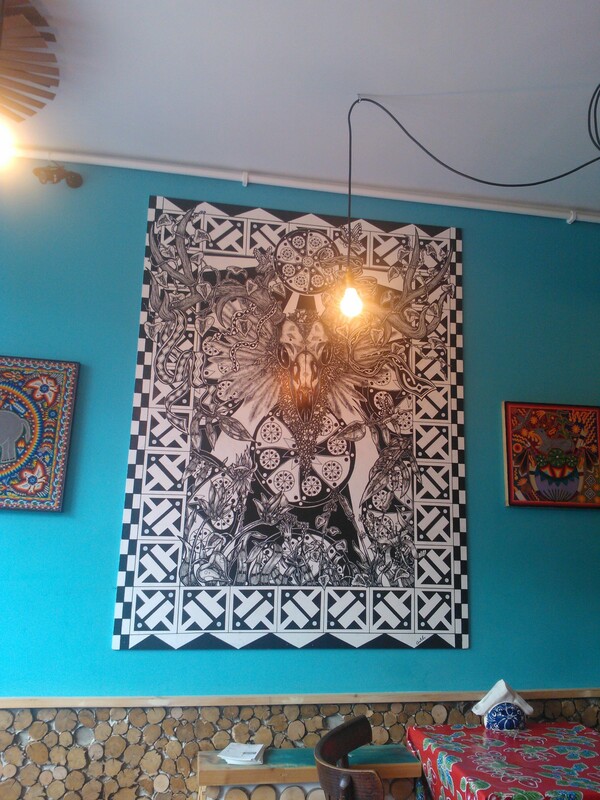 If you’re visiting Brighton for the day, or you live in Brighton and you haven’t been, definitely make an effort to visit Carlito Burritos for tasty, fresh and exciting food, laid back friendly service and colourful decor. If your budget can stretch, I would highly recommend the oyster starter from the evening menu and the tamarind margarita!